An eye lift, also going by the name Blepharoplasty, is a cosmetic surgical procedure that should enhance the appearance of the eyes by removing loose or sagging skin. 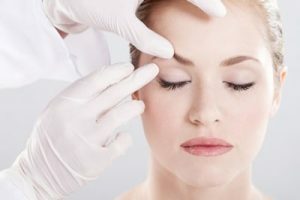 This surgical procedure on the upper eyelids is called an upper blepharoplasty while performing surgery on the lower eyelids is called lower blepharoplasty. One of the normal results of aging is an amassing of fat on the upper eyelids. This causes a somewhat of a puffy appearance, however in serious cases, the eyelid skin will droop because of the heaviness of the fat. 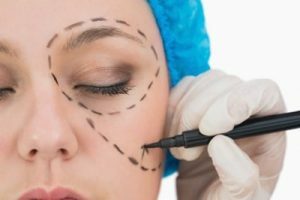 To correct this, the surgeon will make an entry incision at the natural crease of the eyelids and extract the excess fat. The surrounding muscles will then be tightened and the excess skin removed before closing the incision. Scarring will barely be noticeable since they’ll be covered up at the wrinkles. Similar to the upper eyelids, fat can likewise accumulate at the lower eyelids, causing the eye bags to form. The surgeon will normally make an entry point close to the lower eyelashes, or inside the lower eyelids called a trans conjunctival cut. Excess fat is removed and the skin is fixed before closing the incision. Some swelling, bruising, and irritation can be normal right after the operation. The patient will likewise experience dryness in the eyes during the recovery period. These conditions can be controlled using eye treatments, ice pack, and pain medications if needed. The full recovery period will depend on upon your capacity to recover, however, taking care of your eyes in the appropriate and wearing dim glasses when you are exposed to the sun will help the surgery wounds to heal faster.